Makes a Great Saint Patrick's Day display in your home! Make a Great Display on Saint Patrick's Day! 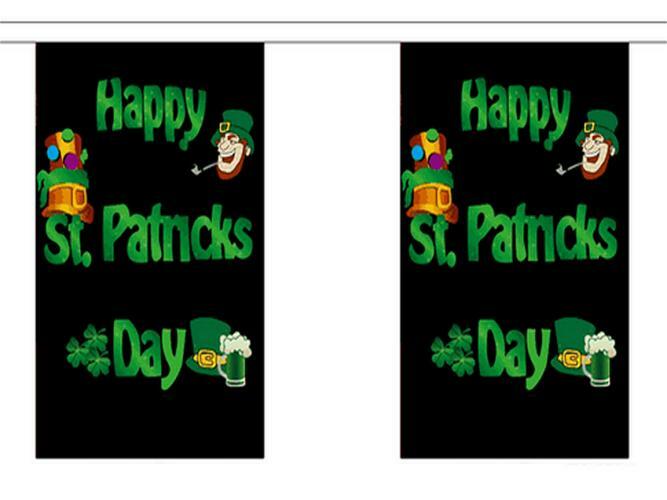 Fine Quality Flags that are perfect for that special occasion. Made from quality non-fade material. Need a gift for a friend or relative? This is the perfect Birthday, Anniversary, Christmas or Saint Patrick's day gift. The perfect gift for the person who has everything! Fantastic Limited Time Offer - Free Delivery! No added delivery costs whatsoever. These Flags usually take 1 to 2 weeks to create and deliver. Ask us about Faster Delivery Options.